It’s no secret that I’m a big fan of Christmas. I adore all the traditions, I love the build-up and that bubbly feeling of excitement. Fairy lights! Candles! The tree! So much magic and sparkle. 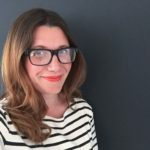 So when Teri from The Lovely Drawer approached me way back in September with her idea of a creative Christmas collaboration called ‘The 12 Styled Days of Christmas’ with West Elm, I jumped at the chance. The project? 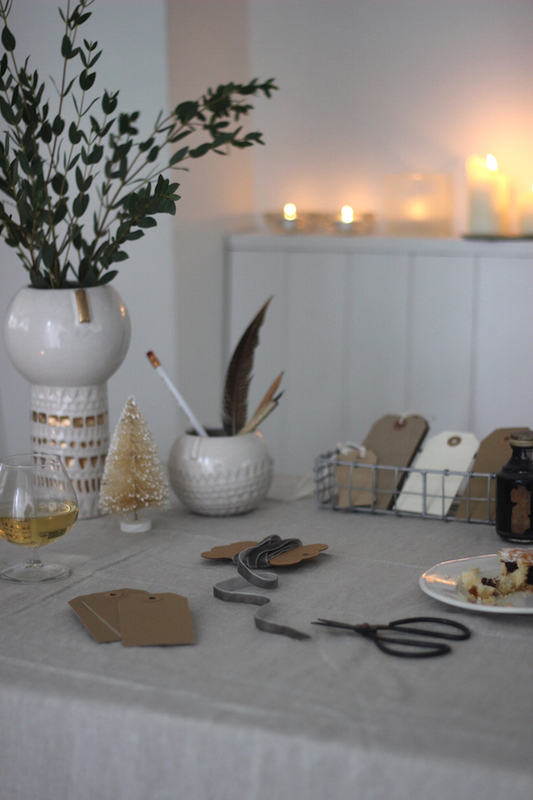 To get 12 bloggers to style up a Christmas table top, and post the results throughout the first 12 days of Christmas. 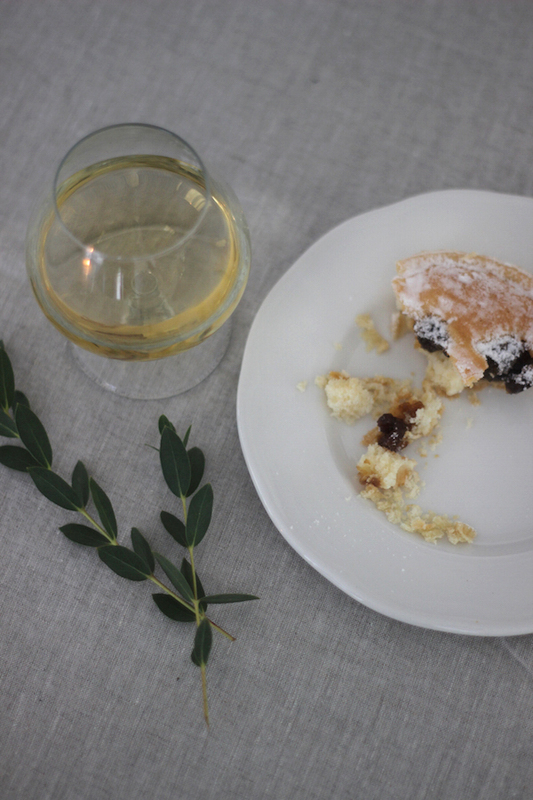 Our kitchen table is where so much of our daily life happens – eating, drinking, crafting, working – so it made perfect sense that it would play host for my contribution to The 12 Styled Days of Christmas project. If you missed the first post of the series yesterday, do pop over to The Lovely Drawer to see Teri’s table set for a perfect Christmas evening. You can follow the rest of the 12 days with #kindredspirits, and on Front + Main. For as long as I can remember, Christmas has had a creative, crafting element for me. The tree at our family home growing up always featured decorations I’d made at school, and the afternoon spent decorating the tree and house with the rest of my family was one of my highlights of the festive period. That love of the creative side of Christmas has stayed with me as I’ve grown up, left home and had my own children. Decorating the tree is still one of my favourite moments of the year, even if now it now involves reasoning with small people who think all the baubles should go on a single branch. And wrapping. Oh, how I love wrapping presents. Every year I put a lot of thought into what the theme will be, and what personal touches I can add to make the presents we give look extra special. An afternoon sat at the table, with candles twinkling, Christmas tunes playing, a nice glass of sherry or mulled wine and a mince pie on the go while I set about wrapping presents gives me a warm, happy glow. 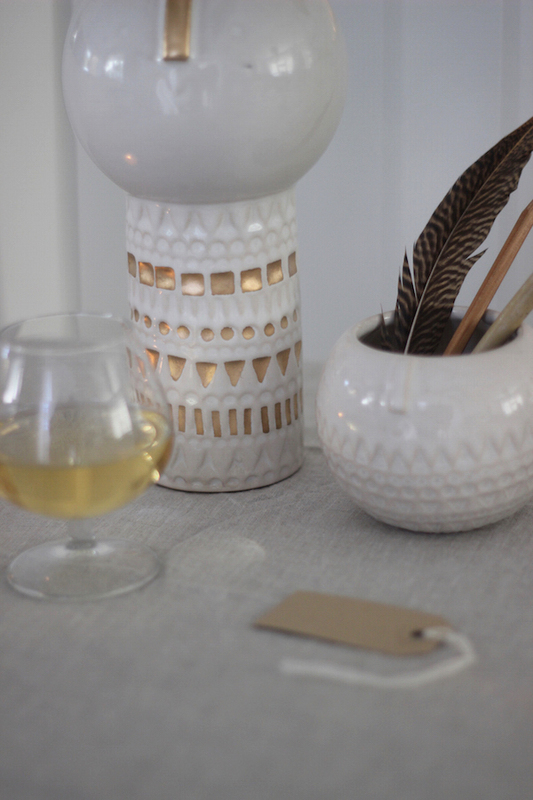 And so that’s what I’ve tried to capture on my styled table. It’s a quiet moment amongst the Christmas madness – a time when I can sit and focus on one task, and really get into the Christmas spirit. 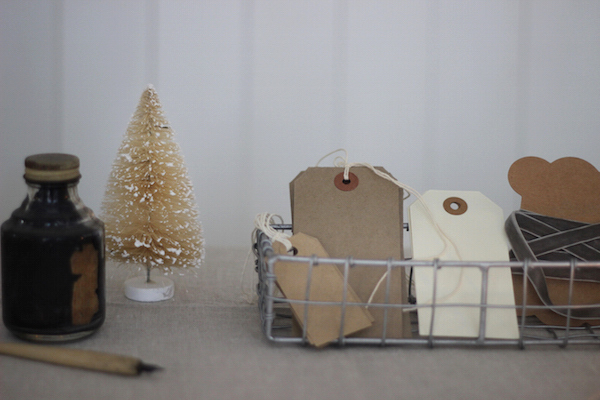 My wrapping tends to be built around simple basics such as brown or white paper, and this year I’ve decided that the humble parcel tag needs a bit of a makeover, so my table is all set up in readiness for this. 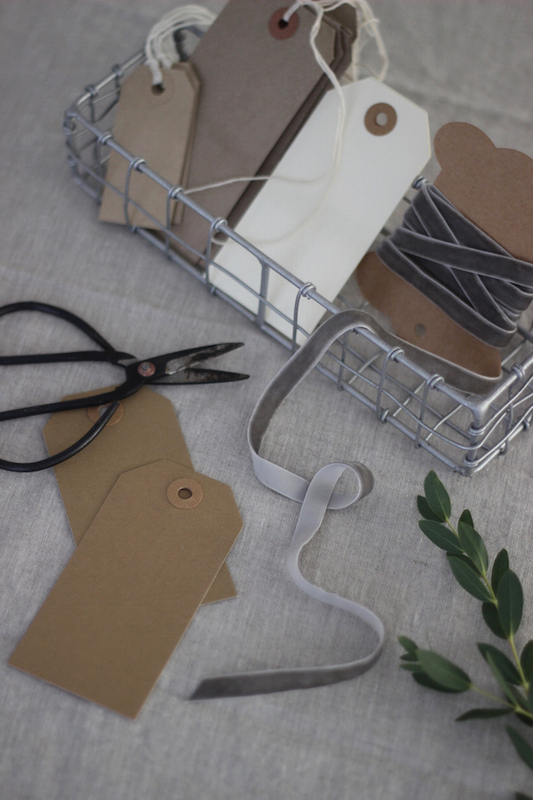 I’ll be sharing the results of my crafternoon (complete with simple tutorials) on my blog tomorrow if you fancy returning for some wrapping inspiration. I looove this…I am so all about the wrapping too! So glad to have found you through Teri and be following along! Thanks so much Janice – so pleased you like it!